ColorBurst is a provider of mid-range video post-production services - editing, titling, sound-sweetening, motion graphics, and so on. Thank you for visiting. Why Call It ColorBurst ? Certainly this is a commercial. Let's get that out of the way first thing. But most importantly, this two-minute spot tells a very compelling heroic story. The audio, music cues, slow motion and quick cuts accentuate and propel things forward. Check it out. Some of you may think that the letters NAB stands for the North American Brewery association. At ColorBurst Video, we know that NAB is the National Association of Broadcasters convention in Las Vegas, an annual extravaganza of "all things video." When we first attended in the late '70s, it was a huge convention primarily aimed at big-dollar broadcasters, station owners, and networks. Over the years, it has grown to include the various cable networks, large and small content creators, and the various content delivery folks like Netflix and YouTube. From low-quality cellphone video to 8K theatrical movie cameras, from desktop editing systems to room-filling server-farms, if it has to do with moving images the latest-and-greatest is always unveiled at the NAB. This year is no exception and, while ColorBurst is too small to have a booth on the exhibit floor, we are nearly overwhelmed at all the new goodies being displayed and discussed in several venues up-and-down the Vegas Strip. There are talks and presentation from industry leaders and trendsetters, technology gurus, and content creators, new equpment and upgrades, and miles of exhibits and salesfolks. There is no way anyone can see it all, so even reading about NAB 2012 requires careful planning and selection. Color-grading, where tint and exposure is corrected, contrast is enhanced, lighting effects are tweaked, and colors are made to... well, drool, is what separates home-movies from cinema and makes moving images feel so authentic. Dating back to the linear post days, colour grading was done in expensive editing/grading suites with rates that could go well north of $1,000 an hour. It wasn't until the late 90s that we saw the start of advanced colour correction tools on the desktop. Today, for a small investment, you can have a post colour grading and finishing solution that will make everything else look like old VHS tape by comparison -- editor, colour grader and motion graphics via After Effects, all in one unified system with a seamless workflow. ColorBurst has always been about making great-looking video to tell personal stories in a compelling way. Based on what's happening at this year's NAB, it looks like it can now be done with modest skills and means. Star Wars Crawl Creator Free Released! Back in 2010, we posted about a Star Wars Crawl Creator you could use for fun. It doesn't look like you can easily download or export the crawl video when you are done, but it was still fun. Soon afterwards, Foley Productions commented about a free iPhone / iPad application that lets you create the crawl and actually save it as a video. Checking back into it today, I've found that they have released a free version of Crawl Creator. Do you have an iOS device? Go have fun with it! 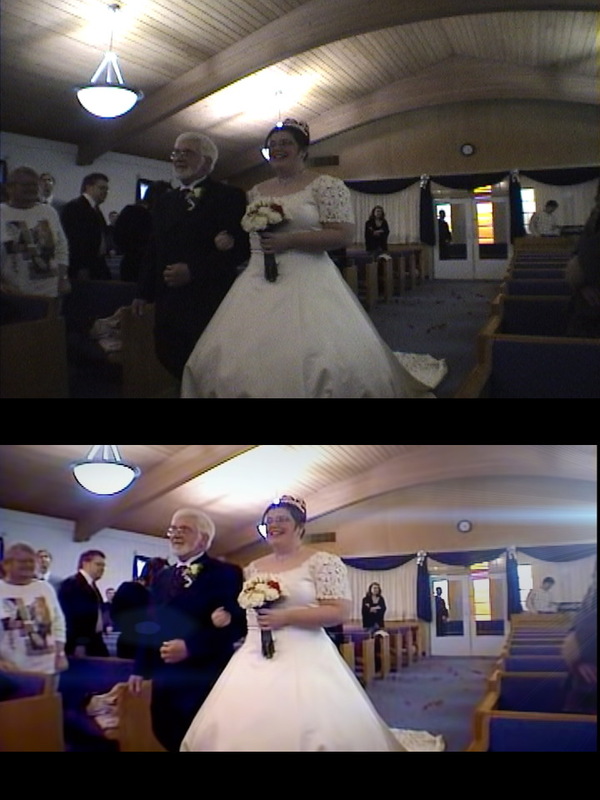 ....and quickly make it look like it was shot with a better camera, better lighting, and correct framing. Host Rich Bonaduce rolls us through a quick list of the Top Ten Video Editing Software Programs from TopTenReviews.com. Now you don't have to call in a favor from a friend to make your movies shine. With video editing software, you can produce your own professional looking videos and share them with friends and family. Because you always wanted to... go to StarWars.com | Star Wars Crawl Creator . You will thank me. © 2005-2012 ColorBurst VIdeo. Simple theme. Powered by Blogger.